A social media campaign calling for a boycott on concerts organised by singers during holidays has started. The boycott, according to various social media campaigners, is said to be a response to the public unrest in Amhara and Oromia regional states, where people were arrested and injured by security forces. IMF has appointed the first Ethiopian, Abebe Aemro Selassie, to head the IMF’s African Department. He joined the department of IMF Africa two decades ago, assuming the position of a senior representative in more than seven African Nations. Prime Minister Hailemariam Desalegn, in his visit to New York, managed to bag a considerable amount of financial commitment from the United Kingdom, European Union and the World Bank to back the construction of two industrial parks in Ethiopia. The Park is likely to absorb refugees from neighbouring countries of Ethiopia including Eritrea, South Sudan and Somalia. The government has organised discussion forums with public university lecturers a month before the beginning of the academic year. This comes following the outbreak of public unrest in Amhara and Oromia regional states, and lately, also in Southern Nations, Nationalities & Peoples’ Region (SNNPR). However, the attendance of the scholars was unexpectedly too low, showing the disappointments by the University Community. The Construction of a Chinese-financed electric railway, linking Addis Abeba with neighbouring Djibouti, has been completed, providing the African nation with improved rail access to a seaport. The four billion dollar project was constructed by China Railway Engineering Corp. and China Civil Engineering Construction Corp. But the railway is not operational yet. And there is a negotiation undertaking between the two countries over who should cover the cost of electricity supply. Angela Merkel, the 12 years serving chancellor of Germany, visits Addis Abeba to reinforce a message of the international community to Ethiopia in the areas of broader political openness, which is important to guarantee stability in the horn of Africa. This is her second visit to Ethiopia in a decade. She also launched the ultramodern building complex of the African Union’s Peace & Security Department. Simbo Beach Resort Langano, formerly owned by Bekele Molla, was destroyed by angry protestors, who looted many private properties, in Oromia Regional State. The same week, no less than 13 factories and flower farms were ransacked by the protestors. Derba and Dangote cement plants and many other companies lost over 60 trucks due to the uprising. IMF projected to grow by seven percent despite the impact of the public discontent and protests in various parts of the country on various lines of businesses and the economy. However, this, is against the 11pc growth projected by the government of Ethiopia. A new directive entails the dos and don’ts of the state of emergency period announced by the Attorney General. The directive is released eight days after the declaration of the state of emergency. It forbids anyone from watching ESAT and OMN television channels. 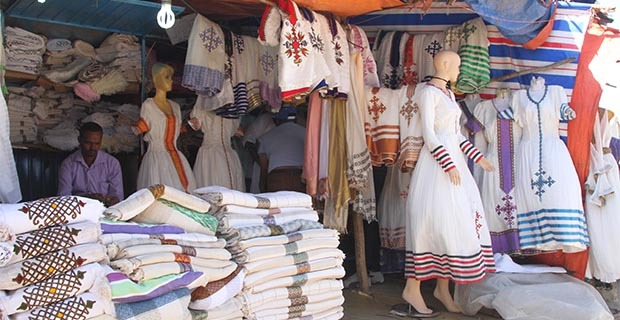 Bidders showed an interest to buy the Kombolcha and Bahir Dar textile factories a decade after floating tenders to sell the factories. Tiret Corporate, an affiliate of the Amhara National Democratic Movement (ANDM) party gave an upfront offer in a bid to acquire the factories. Ethiopian banks and insurance companies started to return the share certificate of foreign nationals of Ethiopian origin, who have shares in the nation’s private financial institutions. The diasporas started to return their shares following the direction of the Central Bank that prevents foreigners from owning shares in any of the financial institutions. Visually impaired persons are now allowed to become a judge in any of the courts in the country, according to a new decision passed by the House of the Federation. Previously, visually impaired people were forbidden from being judges and other law officers. Beijing Wanti Biological Enterprise shipped three million HIV test kits in the midst of court dispute between Medica Pharma and Pharmaceuticals Funds & Supply Agency (PFSA). The shipment is a part of a 5.5 million dollar worth of order for 11 million kits by PFSA. The Ethiopian Sugar Corporation has cancelled its project to construct two sugar factories from the planned list of ten. One of the discarded projects was under the long awaited Kuraz Sugar Project whereas the other is found in Beles. The Development Bank of Ethiopia (DBE) has lost its president, Esayas Bahire, as of as of November 18, 2016. Esayas received a dismissal letter from the watchdog of the Bank, Public Financial Institutions Supervision Agency. China Merchants Holdings express an intention to acquire a 40pc stake of the Ethiopian Shipping & Logistics Services Enterprise (ESLSE), a giant monopoly that controls the logistics industry. Getahun Nana, former governor of National Bank of Ethiopia (NBE), assigned by the Prime Minister to be a president of Development Bank of Ethiopia (DBE). Getahun served the Central Bank for seven years as a watch dog of the financial sector. Massive loans poured over the years into commercial farms in the Gambella Regional State have resulted in 84pc spending on the intended purposes, but with disappointing results of productivity that are a fraction of the investments, a report presented to the Prime Minister’s Office reveals. The report comes after an investigation into allegations of mismanagement of loans, favouritism and impropriety on the part of recipients that surfaced last year. Shareholders of banks and insurance companies start receiving their dividends half a year after the conclusion of the budget year, although all of the financial institutions held general meeting earlier. Tiruneh Mitafa, former vice president of the Development Bank of Ethiopia (DBE), has been appointed as a new vice governor at the National Bank of Ethiopia (NBE) after his retirement this year. Tiruneh has been active in the financial sector for decades. Gibe III dam takes hydroelectric power to a stratospheric level. A decade under construction and few months in to producing energy, it was officially inaugurated in the presence of Prime Minister Hailemariam Desalign, Sileshi Bekele (PhD), the Minister of Water, Irrigation & Electricity and the CEO of Ethiopian Electric Power, Gibe III project coordinator, Azeb Asnake (Eng.) and other dignitaries. The dam can generate 1,870 megawatts of electricity. In an unprecedented move, a government agency has ordered the shutting down of two soft drink bottling plants and ordered the recall of the products. The Ministry of Trade (MoT) has shut down the MOHA Soft Drinks plant in Hawassa and the East Africa Bottling plant in Dire Dawa over substandard qualitiy. The companies are known for their flagship products, Pepsi and Coca Cola, respectively. However, the plants were opened a month after the closure by the authorisation of the MoT. The foreign owners of Else Addis Industrial Development Plc have abandoned their factory and left the country to escape unpaid loans, taxes and customer payments amounting to one billion Birr, two weeks ago. Development Bank of Ethiopia (DBE) which is the main creditor has already foreclosed the factory with a negotiation price of 729 million Br. Although DBE was processing a travel ban on the owners of the factory, originally from Turkey, a delay in the necessary warrants meant that the Immigration Office dropped the request. 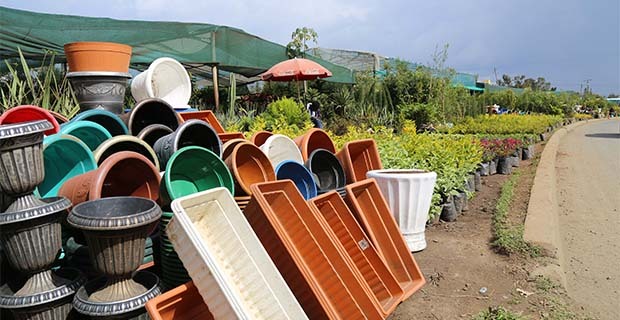 The PM office has shifted Yacob Yalla from his proposed position as the CEO of Ethiopian Shipping Lines & Logistics Service Enterprise (ESLLSE) to the directorship of the Ethiopian Horticulture Development Corporation. His removal surfaced when he failed to appear at the ESLLSE office. After repeated attempts to transfer the ownership of troubled multi-million Br textile company Saygin Dima, the Commercial Bank of Ethiopia (CBE) has taken control of the company. Saygin Dima, that used to be owned by Turkish investors, has been in the foreclosure process for the past six months. However, the factory has failed to generate any interest from buyers. The Department for International Development (DFID) announced that it could no longer finance the Yegna project in Ethiopia. DFID stopped funding after the charity organisation meant to help girls in Ethiopia, Yegna, fell victim to a controversy in Britain regarding the effectiveness of foreign aid. Zebidar Brewery officially enters the Ethiopian beverage scene with 1.3 billion Br investment capital, becoming the seventh beer factory in the market. The company, which is a joint venture between local and foreign investors, came up with a unique pull-off cap bottle. It hits the market with a 33cl bottle with a pull-off bottle cap. The retail price of the beer is 13 Br. The beer has five percent alcohol content. The Commercial Bank of Ethiopia seeks to issue long-term bonds in a bid to strengthen its capital. The Bank presented a bill to Parliament to raise its current capital by threefold to 40 billion Br. The funds will come from interest-free and tax-free government bonds. The bond is expected to be redeemed within 10 years after a five-year grace period. Three weeks after the request of the Bank, the Parliament approved the bond aimed at strengthening the Bank. 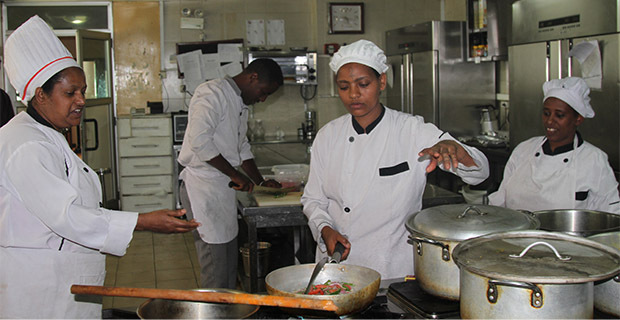 After a year of preparation, the Ethiopian government has launched the first set of packages to address unemployment amongst youth. The package includes the 10 billion Br revolving fund. It is also expected to benefit unemployed youth between the ages of 15 and 29. The Humanitarian Requirement Document jointly released by the Ethiopian government and its humanitarian partners has revealed some good news for the effort to contain the effects of the drought in some parts of the country. The report, compiled on the basis of the Meher assessment, indicates that 4.6 million people moved out of humanitarian need curve, in comparison to last year’s similar report, putting the number of people in need of assistance at 5.6 million. But, later the figure spiked to 8.5 million people due to a surge in drought in Oromia and Somali regional states. Ethiopia’s 1.4 million civil servants received salary increments after Parliament approved an 18.2 billion Br supplementary budget. About half of the budget was allocated to increase civil service salaries. The rest of the budget was planned to be used to set up the Youth Fund, to ameliorate the impacts of last year’s drought and to implement safety net programs, at the cost of five billion Birr, one billion Birr and 1.5 billion Br, respectively. A group of Chinese companies have signed an agreement to band together and build industrial parks at the cost of ten billion Br. The companies, CGC Overseas Construction Group (CGCOC), China Contraction Group Chin, Communications Construction Company (CCCC) and China’s Tiesiju Civil Engineering Group Co Ltd (CTCE), have signed a deal to build three industrial parks, which will be located in Addis Abeba and Oromia Regional state. Loan applications from close to 260 commercial agriculture investors have got the green light to be processed after a year long hiatus on agricultural loans. This was announced by Development Bank of Ethiopia, a major financier of such loans, on January 27, 2016. The Bank announced that it would restart the process of issuing loans to commercial farm investments. The shareholders of YESU Plc, Yohannes Sisay and members of his family, who were co-defendants, were found not guilty of charges of concealing income of half a billion Birr. On January 26, 2017, the criminal bench of the Federal High Court of Lideta District gave a verdict in favour of Yohannes and his family. Yohannes, his niece Hirut Endale, Yohannes’s nephew, Abera Mengistu and Jember Teka were found not guilty of all charges. Shebel Plc and its shareholders, among them Sisay Molla, Yohannes’ father, were charged with similar crimes but were found guilty. Meskela Lera and Amha Kebede (PhD), the general director of the Pharmaceuticals Fund & Supply Agency (PFSA), and the general director of the Ethiopian Public Health Institute (EPHI), respectively, have resigned from their posts as of January 2017. The reasons behind their resignation remain undisclosed until now. The action to scrub Ethiopian banks of Ethiopian natives with foreign nationality has commenced as private banks begin auctioning off shares that were returned by these nationals, in compliance with a November 2016 directive from the National Bank of Ethiopia (NBE). Since then, almost all banks and insurance availed shares worth millions of Birr to the public. The nation’s private banks have achieved remarkable results during the first half of the current fiscal year, despite a popular perception that the economy has been sluggish due to political instability and forex crunch. Last year was challenging for the economy, as the country was hit by a severe drought, which left over 10 million people in need of emergency assistance, and the registered economic growth was the lowest in a decade. All the 16 private banks, in their semi annual performance, have reported robust growth in deposits, loans and gross profits. The Ethiopian Government has chosen the companies it wants, to supply 400,000 ton of wheat export into the country to stabilise the local market. The 2.1 billion Br contract was won by three companies: Promising International Trading Co. DMCC, ADM International, and Phoenix Commodities DMCC. About 11 companies submitted their proposals to the Public Procurement & Property Disposal Service. However, only 10 were opened. The Development Bank of Ethiopia (DBE) has introduced a new loan procedure to finance the commercial farm sector, which has seen many ups and downs in recent months. The move came three weeks after the state owned Bank restarted giving loans to commercial farm investments. About 260 loan applications from farmers in different parts of the country are under review by the Bank following the loan reinstatement. 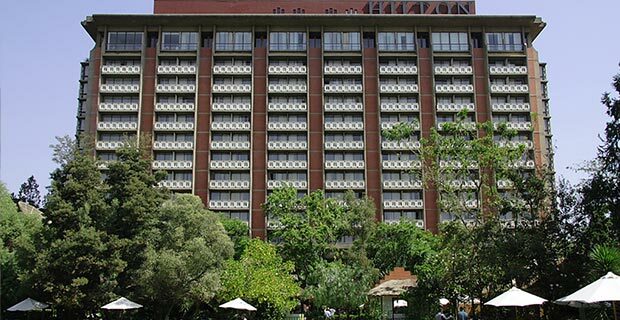 Hilton Addis, Ethiopia’s first, and for a long time only, international hotel franchise, will be up for privatisation in no less than three years when the existing management contract comes to an end. A decision made by the Prime Minister’s Office last week has been communicated to the board of directors of the hotel, chaired by Yinager Dessie (PhD) to prepare the property for auction. Awash Bank’s share value has soared to new heights, with the highest offer of 20,137 Br for a single share, as the Bank’s share auction comes to a close. The offer was made during the third round of bidding that was held on February 23, 2017, at the headquarters of the Bank. The 1,292 residential units under the middle-class housing projects were inaugurated on March 11, 2017 with the presence of Prime Minister Hailemariam Dessalegn and Mayor Diriba Kuma. The housing units being inaugurated are located in Aqaqi-Qality and Lideta districts. During the inauguration, there was a fear that the houses might not be transferred to homeowners at the expected time. The housing units were handed over later to the home seekers after holding a raffle. It also became a source of disappointment for many home buyers as the design, and the cost of them was revised form the initial plan. A landslide occurred at Repi (Qoshe) landfill on March 11, at around 8:00 pm and took the lives of over 125 individuals. The reason for the landslide is not yet identified beyond the various speculations coming from different bodies. The place has been the city’s only dumping site for 50 years. For the victims, the city administration, the general public and the charity organisation extended their hands. But, there is still a claim from the people that the money collected for the victims was not distributed properly. The Ethiopian Construction Works Corporation (ECWC) has awarded a nine billion Birr worth irrigation farms construction inside the Omo Kuraz sugar factories to four companies on March 25, 2017. The Southern Water Works Construction Enterprise (SWWCE), Water Infrastructure Construction Sector and Transport Infrastructure Construction Sector, and Jeinexi Water & Hydro Power Construction were the companies that sealed the deal with the Corporation. A new donkey slaughterhouse became operational in Bishoftu (Debre Zeit) town, 48Km east of Addis Abeba. Shandong Dong, a donkey slaughterhouse, had just opened after an investment of 80 million Br, moving it a step closer to start export. 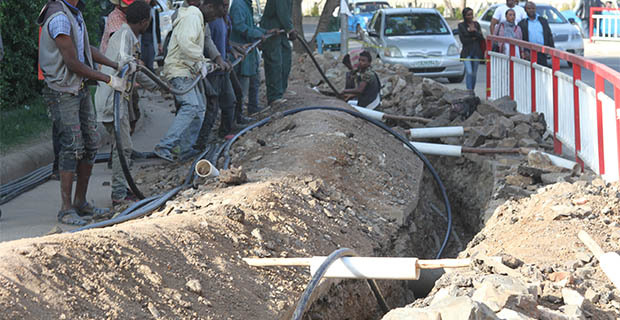 It was opened six months after protesters torched the company during the unrest in the Oromia Regional State. Just three weeks after becoming operational, the Bishoftu City Administration has shut down this first donkey abattoir, mentioning it was an offensive to the people who are living around the plant. The company. which is still under ban, shipped 25 tonnes of donkey meat to China and Vietnam. The National Bank of Ethiopia (NBE) has advanced to the state-owned banking giant, Commercial Bank of Ethiopia (CBE), one billion dollars in foreign currency, which risks putting private banks in a liquidity crunch. The announcement led depositors of private banks to withdraw their deposits in huge sums. This sudden outflow of cash from almost all the private banks escalated during the time. Even though sources close to the case affirmed that the central bank advanced the foreign currency to CBE, Teklewolde Atnafu, governor of NBE denied that they advanced CBE no foreign currency. On the other hand, Bekalu Zeleke, president of CBE, claims they availed the stated amount of currency from remittance. The foreign currency crunch has been a challenge for the business community for the entire year of 2016/17. The National Bank of Ethiopia (NBE) has urged the state owned giant Commercial Bank of Ethiopia to focus on providing working capital, leaving project financing to the state policy financier, the Development Bank of Ethiopia (DBE). The central bank sent letters to presidents of the two state banks on April 18, 2017. The next day, CBE managers began informing applicants who had applied for project financing, to take their applications to the DBE. The move has created confusion amongst some of the business owners in the city. Since then pending project finance requests at the CBE were frozen and sent to the DBE. Even though the state policy financer was tasked to handle project finances, it did not start availing loans for projects or start funding the pending project loans from CBE. The Board of Directors of Tiret Corporate, an endowment company, affiliated to the Amhara National Democratic Movement (ANDM), has made a change of guard at its top for the first time since its founding over two decades ago. Bereket Simon, a veteran leader and founder of ANDM, has been replaced by Ahmed Abitew, Minister of Industry, as board chairman of Tiret, a holding company established in 1995 with a registered capital of 26.1 million Br. 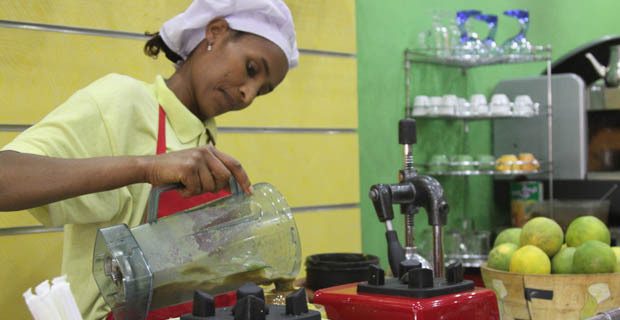 The Ethiopian Coffee & Tea Development and Marketing Authority finalised bills to reform the entire coffee value chain. It also sent the drafts to Ministry of Agriculture & Natural Resources and the Office of the Attorney General for some improvements and additions. The bill which allows farmers to sell coffee before it reaches the warehouses of ECX, was sent to the council of Minister and Parliament for approval. The proclamation is considered as the major policy reforms of the government of Ethiopia. The approved bill came in to effect starting from the new fiscal year. Controversy over the Non-Performing Loans (NPL) ratio, outstanding loans in which borrowers are not paying interest fees or repaying any principal, of the Development Bank of Ethiopia (DBE), has led four vice presidents of the Bank to be removed from their positions. The dispute began months back after the new President of the Bank, Getahun Nana, came into the scene, replacing the long-serving President, Esayas Bahre. Getahun was vehemently arguing that the NPL of the Bank could reach up to 50pc, but the four VPs firmly insisted otherwise. In its performance report for the recently ended fiscal year, DBE said that its NPL ratio had reached 25pc which is far high from the global standard of 15pc. Ethiopia’s pop sensation, Tewodros Kassahun, has released his long anticipated album dubbed “Ethiopia”, thereby taking not only a huge fan base to ecstasy but also triggering the renewed sale of the legendary Amharic novel, “Fiker-Eske-Meqabir”, literally translated “Love to the Grave”. Teddy released his album that has 14 songs, with 500,000 copies being paid five million Birr. Teddy Afro’s album has also made a reputation topping the Billboard “world album” chart, becoming perhaps the second singer to achieve such global heights after Aster Aweke’s Kabu. For this new year he and his exclusive album distributor Joyous Events & Promotion, scheduled to organise a concert but they did not manage to get the consent from the city administration for the event. And his album release party that was hosted by Jorka Events was also rejected after they reserved Hilton Hotel inviting 900 guests. After three years of silence, the contentious Access Capital Services S.C. has voted for the embattled Ermias Amelga to continue as a board chairman of the company. The move comes a year and a half after the Board of Directors of Access Real Estate had removed him from the same position. Access Capital Services has also installed new faces in one of its highest posts, with its shareholders electing three individuals to the board of directors. Yosef Asrat, Getachew Bekele and Antonio Silla were elected to the board during the meeting, held at the Ministry of Trade, on Marshal Tito Road, on Saturday, May 13, 2017. In the midst of controversy over its lack of fund and budget use, the World Health Organization (WHO) gets a new, first ever state nominated Director General, Tedros Adhanom (PhD), becoming the first African to win the high-profile post since its establishment in 1948. State members of the United Nations (UN) body elected Tedros on May 23, 2017, at a voting cast in Geneva, Switzerland, turning him to be an influential executive in the UN post coming from a developing country to run the WHO for the next five years. The Auditor General revealed illegitimate transactions close to 20 billion Br in 158 federal institutions during the 2015/16 fiscal year – over twice that of the gap seen in 2014/15. The finding of the report becomes the reason for the recent high-level government officials arrest for an alleged corruption case. The Office of Attorney General kicked off an investigation of the institutions which were mentioned for audit gaps and arrested a dozen of individuals alleged for involvement in a corruption case. In the midst of a state of emergency, Ethiopia has disabled Internet access across the country, fearing students will be distracted by social media posts, marking the third big scale internet interruption in a year. 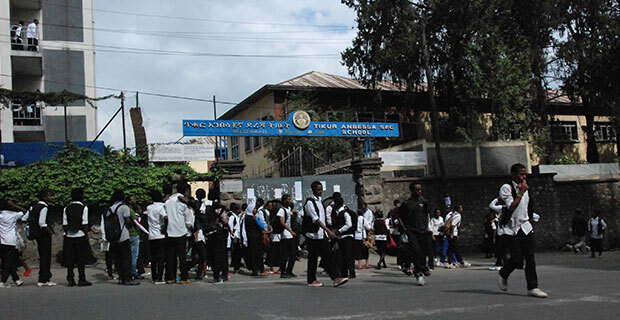 The service was cut off by the monopoly telecommunications service provider, Ethio Telecom, on May 30, 2017, as the 1.2 million 10th graders were preparing to sit for an exam the next day. The cut-off occurred 11 months after the government has blocked social media sites throughout the country following an online leak of national exam papers, which eventually forced the government to postpone exam dates. The service resumed after the exam was concluded. With the reservation over the tax collection performance of the country, the Ministry of Finance & Economic Cooperation (MoFEC) has allocated a 320.8 billion Br budget for the current fiscal year. Out of the total budget, 61pc will be covered by tax revenue. This year’s budget is 16.9pc and 40pc higher than that of the 2016/17 and 2015/16 fiscal years, respectively. It also surpasses the current year’s budget, which witnessed an addition of 17 billion Br, by 9.6pc. The budget allocates 114.7 billion Br to capital expenditure, 81.8 billion Br to recurrent expenditure and 117.3 billion Br to subsidise regional states. The remaining seven billion Birr will be allocated to Sustainable Development Goals (SDG) projects. Recently, with the main aim of filling the budget gap, which is 53.8 billion Br, the government issued a new directive which directs budget institutions to minimise their expenditure on 19 areas, including promotion cost, allowances and vehicles of high-level government officials. In divergence to the decline of the Foreign Direct Investment (FDI) flow to Africa, Ethiopia sits on top by attracting more FDI for the fourth consecutive year, according to the recent report released by the United Nations Conference on Trade & Development (UNCTAD). One of the landlocked developing countries (LLDCs), Ethiopia attracted 3.2 billion dollars in foreign direct investment in 2016, with a 46pc growth rate, according to the report titled World Investment Report 2017. This made the country the second largest landlocked FDI host country up from the fifth position in 2015. The report was a surprise for many people as the achievement was reported in a year when the country has been under a massive political violence in Amhara and Oromia regional states, which caused the declaration of the 10-month old state of emergency. The grand production launch of the Hawassa Industrial Park (HIP) was held on June 20, 2017. Prime Minister Hailemariam Desalegn, Debretsion Gebremichael (PhD), Minister of Communication & Information Technology (MCIT), and Melese Alemu Deputy Chief Administrator and Head of the Public Service and Human Resource Development Bureau of Southern Nations, Nationalities & Peoples’ Regional state (SNNPR) attended the grand opening ceremony. HIP, with its 37 completed manufacturing sheds in three different sizes, is a specialised park in textile and garment production that is intended to reach the global market. Currently, operational at its phase-I, HIP aims to host 60,000 workers. In the same month, the Premier inaugurated the Mekelle and Kombolcha Industrial Parks. The two parks, unlike the HIP, were not occupied or booked by any investor. An investigative audit conducted on Access Real Estate (ARE) by the Audit Service Corporation, found that the company is not bankrupt, rather it suffers from a liquidity crunch. The audit report stated that the company is not insolvent but a victim of Ermias Amelga’s – its founder, former board chairman and chief executive officer (CEO) – mismanagement. Before it releases the report to the public, the Corporation has sent it to the Office of the Auditor General and Minister of Trade, Bekele Bulado (PhD) for final approval. The major findings of the report include :the assets of the company are beyond its liability, the company has receivable money, and its crises are solvent even if Ermias mishandled it and he will be accountable for that. The Audit report is not released yet, neither to the shareholders nor to the home buyers. The Addis Ababa City Administration raised the cost of all types of apartments by 56pc to 4,918 Br a square metre, under the middle-class housing scheme. It also announced the raffle winners of 972 residences in July 2017. When the middle-class public housing project began in 2013, AASHDE set the size of the houses to 55sqm, 75sqm and 100sqm with a price tag of 2,289 Br, 3,300 Br and 3,860 Br a square metre for one, two and three bedrooms, respectively. The revision, however, altered the sizes of the public houses to 124.97sqm, 149.5sqm and 168.68sqm, for two, three and four bedrooms respectively, omitting the previously planned one-bedroom unit houses. These houses cost 614,602 Br, 735,241 Br and 829,568 Br correspondingly, according to the new cost scheme. The changes were major sources of disappointment for the home buyers, who claimed that they were not informed about the changes previously. 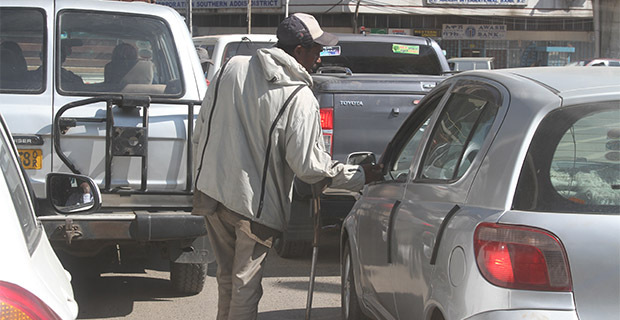 Kebede Tesera, a 75 year old man convicted of seven criminal charges including money laundering and usury, goes back to prison after he had walked away from the remaining 17 years sentence with a presidential pardon. The pardon was reversed owing to the reason that the board realised that it granted the pardon on the grounds of misleading information. Kebede was pardoned on July 1, 2017, with 92 prisoners in a letter written and signed by the President, Mulatu Teshome (PhD). However, nine days later, the prosecutors requested clarification to the Pardon Board, chaired by Attorney General, Getachew Ambaye, on the reason behind his release. And the Office found out that his pardon was based on the information provided to the Office by the prison administration which contained factual errors and decided to send him back to prison. The Ethiopian Airlines has merged with the Ethiopian Airports Enterprise (EAE) forming a new Ethiopian Aviation Holding Group with a regulation approved by the Council of Ministers (CoM) on July 14, 2017. Based on the regulation, a new parent corporation will be established, which is expected to grow into an Aviation Holding Group. The new group comprises of Ethiopian Airports Enterprise, Passenger Airline, Cargo Airline & Logistics Company, Ethiopian Aviation Academy, Ethiopian In-flight Catering Services, Ethiopian MRO Services and Ethiopian Hotel & Tourism Services. It was claimed that the merger was processed with out the knowledge of the stakeholders. It was kept secret at a top level official of the Ministry of Transport, Prime Minister Office and Ethiopian Airlines. Recently, Ethiopian Airlines sent a letter to the EAE putting restrictions on the management of EAE on human resource issues, procurement, contract handling and legal matters. The Federal Supreme Court Cassation Bench lifted the trade license revocation of Tiens Ethiopia Plc, a supplier of medical supplements, ordering the Ministry of Trade (MoT) to review the case again and pass an appropriate verdict. The ruling comes eight months after MoT suspended the license of Tiens for the violation of the commercial registration and business licensing proclamation issued in 2002. The ten-month long state of emergency imposed to control the public unrest that occurred in Amhara and Oromia regional states was finally lifted by the Parliament during its emergency session held on August 4, 2017. The Parliament, which was in recession, ended the decree after four months of extension attributed to maintaining the peace and stability that had been gained during the six-month period of the state of emergency. In the ten months, the directive set for the state of emergency was amended three times, including lifting the curfews near an industrial area, limiting the role of the Command Post from carrying out arrests of suspects without a court warrant, and ending the travel bans set on diplomats and foreign nationals for over a 25km radius from Addis Abeba. More than 20,000 suspects were jailed in different parts of the country, out of which 7,737 are still under court proceedings. Prime Minister Hailemariam Desalegn, in the latest consultative meeting between the government and private companies, scolded the private sector mainly on the issue of corruption and taxes. In a meeting attended by 700 members from various lines of businesses and high-level government bodies, the Prime Minister gave strong responses to the private sector on the 12 discussion points that were raised by the Ethiopian Chamber of Commerce & Sectoral Association (ECCSA). During the meeting, the PM told the business community to be aware that no one is untouchable. The number of individuals arrested over the recent high-level corruption case has reached 125. The case also zoomed in on assets of over 200 individuals, who were claimed to have an affiliation with the suspects, following a court injunction order. Fifteen companies were also taken by the injunction wind, including Gemshu Beyene Construction, Aser Construction. The case started by the detention of 34 government officials, business people and brokers. The government officials were from the Sugar Corporation, the Addis Ababa City Roads Authority (AACRA), the Ethiopian Roads Authority (ERA) and the Ministry of Finance and Economic Cooperation (MoFEC), Addis Abeba Housing Development Enterprise, Sugar Corporation and Ethiopian Shipping & Logistic Services Enterprise (ESLSE). Among the detained, Alemayehu Gujo, state minister of MoFEC is the only top level official in the list.